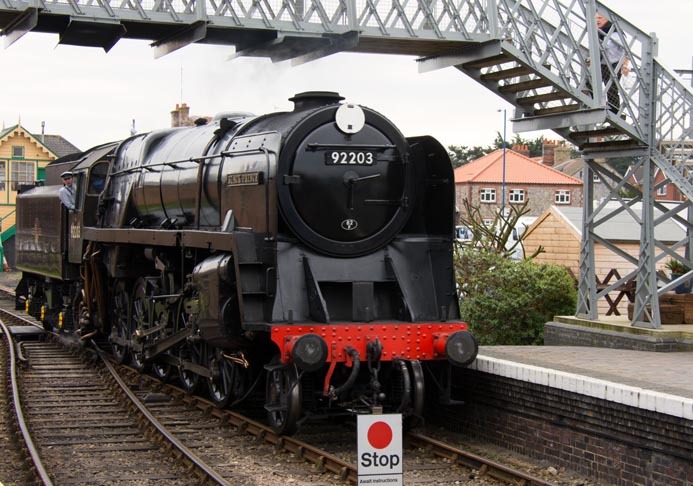 British Railways 9F 92203 2-10-0 Black Prince at Sheringham running round its train on Saturday 21st April 2018. 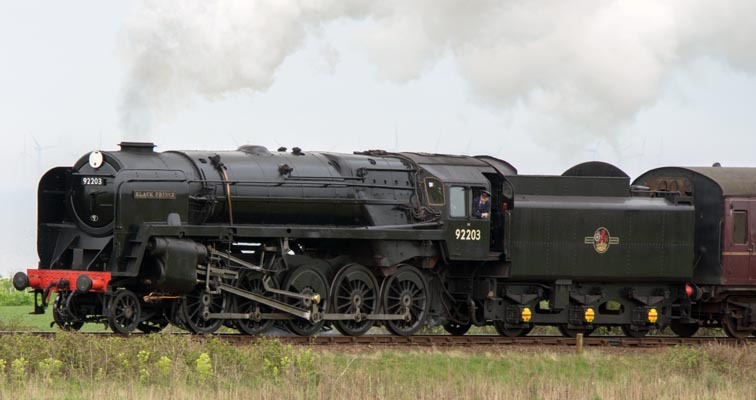 9F 92203 between Sheringham and Weybourne on Saturday 21st April 2018. 9F 92203 leaving Weybourne with a train to Holt on Saturday 21st April 2018. 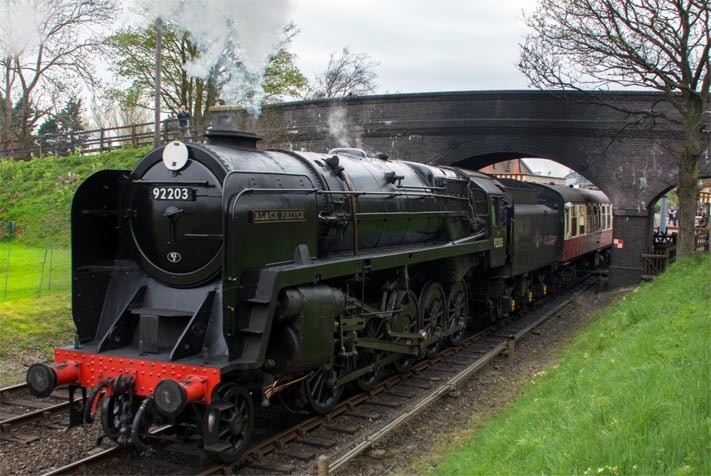 The locomotive was saved from being cut up, when it was purchased from British Railways by the artist David Shepherd who named it Black Prince.